My hubby and I have been eating very healthy for the new year, hence the lack of yummy cooking posts lately. We've been following a very low-carb lifestyle, sort of a Keto/Atkins thing and it's made us both feel immensely better. 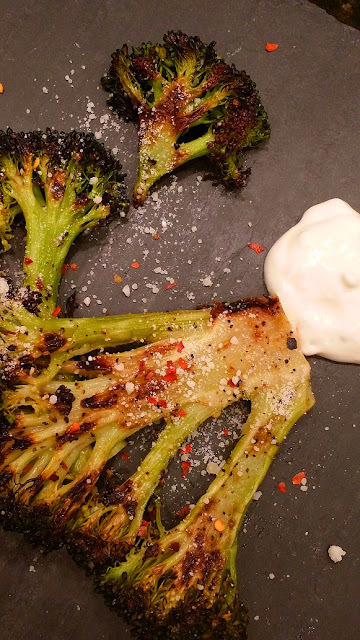 But last night I JUST may have found something that's VERY close: Roasted Broccoli with Preserved Lemon Garlic Aioli. 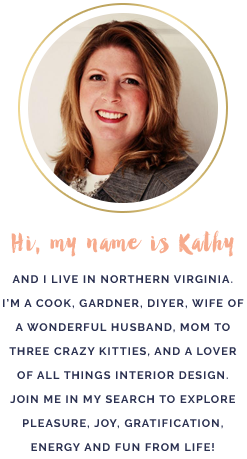 I know what you're thinking, "Shut up Kathy. NOTHING will replace cake!" and you're right, but there's something about this recipe that is so very defined and luxurious that you might even feel better about eating it. I found it in this month's Food and Wine magazine. Remember how I showed you how to make preserved lemons last year? Well, hopefully you've made another batch this year because this recipe is surely going to be a staple in your house. The aioli is especially amazing and versatile. I see this being used with roasted asparagus, roasted brussel sprouts, even with baked salmon. It's THAT good! Preheat oven to 475°. Place baking sheet in oven while pre-heating. Meanwhile, cut the broccoli lengthwise into 1/3-inch thick slabs (or "steaks"), reserving any florets that fall off. In a large bowl, toss broccoli with oil. 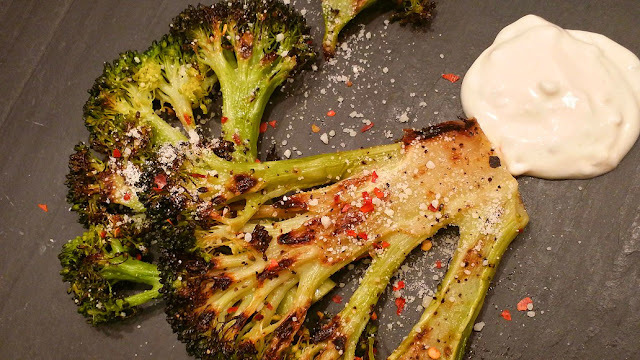 Remove baking sheet from oven (careful, it's HOT) and place broccoli "steaks" on sheet. They will sizzle. Sprinkle kosher salt, pepper, and red pepper flakes to taste. Place baking sheet back in oven and roast for 20 minutes, flipping the "steaks" halfway through, until golden and tender. In a small bowl, mix yogurt, mayonnaise, garlic, preserved lemon, lemon juice. Season with additional salt and pepper if desired (I didn't do this, but added more lemon juice.). Aioli can be made and refrigerated in advance. Remove broccoli from oven. Transfer to serving plates and top with Parmesan cheese. Spoon aioli on the side and serve.